WordPress is versatile. Primarily, it was built as a blogging platform. But, it is not limited to the blogging. One can make any type of website with WordPress. An eCommerce website too. For making an eCommerce website in WordPress, WooCommerce plugin is heavily used. There is a great buzz of this plugin, although there are so many eCommerce plugins are available. WooCommerce holds the crown of “most downloaded WordPress eCommerce plugin” with over seven million downloads till the date. Reason is the best compliance with WordPress core and best eCommerce features. Plus, it s absolutely free to use. WordPress would manage your content, WooCommerce will add the cart to your website, and TemplateToaster will give a beautiful eCommerce theme for your store. You can buy a hosting plan and install WordPress on the host’s server. You can install WordPress locally to test your website also. After you done with WordPress installation, Log in to the dashboard, go to “Plugins” from the left sidebar. Click “Add New”. You will see the plugin repository of WordPress. 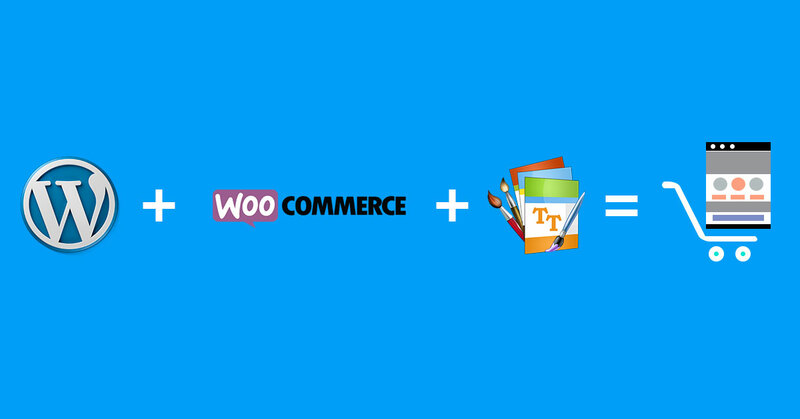 Search “WooCommerce” and install the plugin. It will take less than a minute of your time. Next thing to do after installation is to configure WooCommerce. The first tab is seen “General”. You will define here your base location, in which countries you want to sell your products, and currency related information like currency position, thousand separator, decimal separator, and number of decimals. Fill up the fields and “Save changes”. You will be easily going through the setting up your shop as all the settings are self explanatory. From “Products” tab you can make settings for your products and how they are displayed that includes product image sizes, inventory, and downloadable product settings. Moving further, “Tax” tab consists comprehensive options for configuring tax settings. You can set the options to your needs. WooCommerce gives the options for your “Checkout” pages and coupon usage as well as your payment gateway settings. Similarly, the “Shipping” options are provided to you for defining custom shipping ways, including restricting shipping for particular countries. You can enable user registration on particular page from “Account” tab. Also, you can generate the user name from a customer’s email for account creation. More to this, you can choose to automatically generate the account passwords for the users. Inside “Email”, you can enable/disable email notification to your customers when they perform any action, like ordering products, cancel products, reset password, or make a new account. You can design the e-mail template and describe the content to be put in the email. Products are added like you add a new post in WordPress. When you install the plugin, an option “Products” appears below WooCommerce. You can add the products from there. You’ll need a WooCommerce compatible theme in order to establish your shop. A theme must have special styles to be compatible with WooCommerce. So after installing the plugin, install a WooCommerce compatible theme. You can use TemplateToaster for getting a perfectly WooCommerce compatible theme. TemplateToaster eCommerce website builder will help you in making custom WooCommerce themes as per your imagination. You wouldn’t need to learn any technical skill for this, because TemplateToaster generates the code itself. You can easily design a theme without any external help,. TemplateToaster allows you to make a theme from scratch. But if you would like to pick a theme for personalization, you can choose one from free WooCommerce themes gallery. The best advantage of TemplateToaster Bootstrap builder for making themes is that it generates BOOTSTRAP based themes. That is why themes happen to be flawless responsive and look professional made. TemplateToaster does more for you than helping you out crafting a nice design, it takes care of performance of websites by generating decent code for your theme and providing SEO options. There is one more utmost useful option provided, that is, you can take backup of your website anytime from your dashboard. So, you wouldn’t be worry about backing up your website while updating your website. What benefits you will draw from TemplateToaster WordPress website builder? You can build a flourishing online store with the combination of WordPress, WooCommerce and TemplateToaster generated theme without any hassle. WordPress and WooCommerce both have the intuitive dashboards. So, you can build your WordPress based online shop easily with a TemplateToaster website builder generated theme. You can download TemplateToaster trial version from here.